Rock climbing really is the best sport in the world. It’s how I wind down from a summer work season, going climbing with my friends. This autumn I’ve had 3 very different rock trips, each with their own special attraction. I was at Church ( the training crag behind Vallorcine, not the place with alters and hymnbooks ) in August with Miles B when he mused – “we should go do some grit next month”. We booked flights the very next day for the 2nd week in september, such is the power of the Peak. Looking at the forecast a few days before our flights, the weather was typically British with sunshine and showers. “It’s sunny and 24ºC in Majorca all week”, said Miles. “Ah”, I replied. 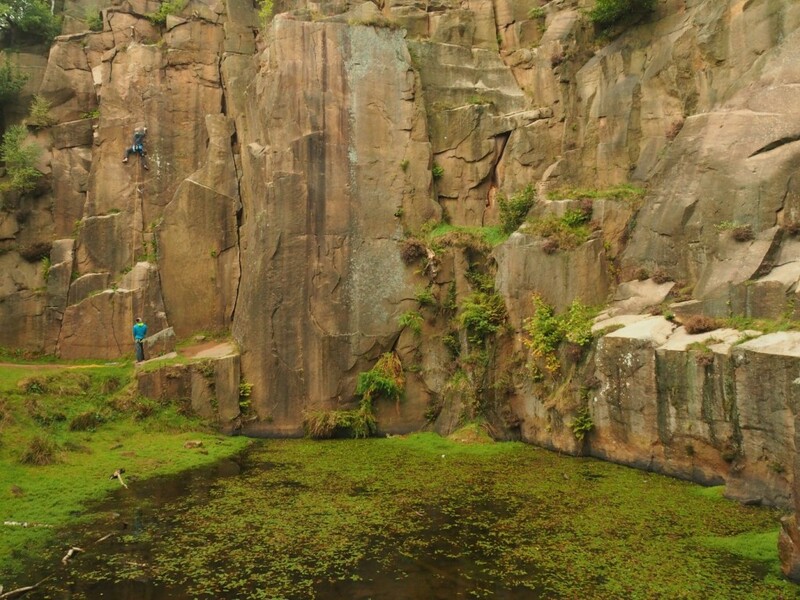 “There’s no gritstone there”. And so off we went to Sheffield with full Gore-tex, beanies, gloves, down jackets, large racks and a bag full of blind optimism. Driving from Manchester in the pouring rain, we did begin to wonder, but then the sun came out, the wind dried the grit and everything – the light, the friction, the climbing and the great craic of British climbing culture – everything – was wonderful. We spent a week doing classic grit. Why would we go to Stoney Mid when the limestone in France kicks cul? I repeated some routes that I hadn’t done for 30 years, and they all felt just as good as ever. 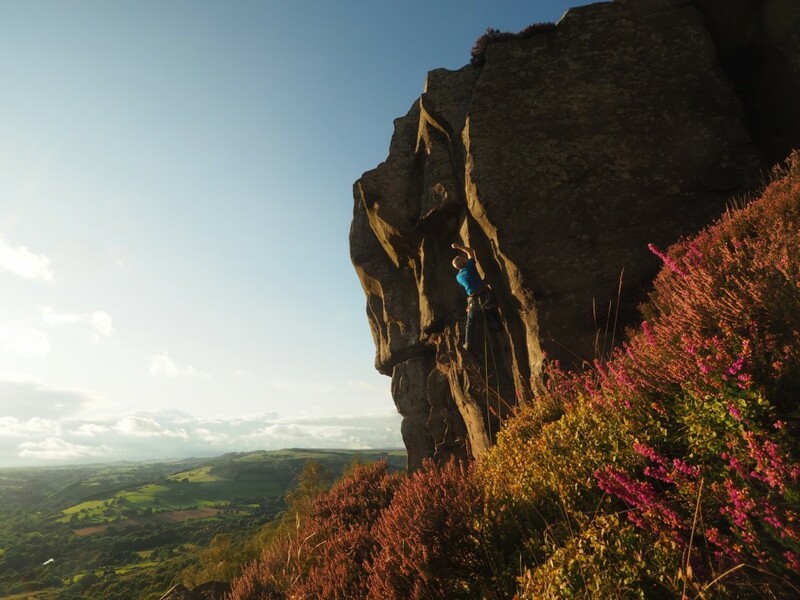 For me, Derbyshire grit is where it all started and going back there is a journey back to the roots in all sorts of ways. The hardest move of the week: the final mantle on the Rasp. Still heinously fun. Highlights? The sunset on the first evening from Curbar, and a day of bagging classics at Cratcliffe, with Suicide Wall, Five Finger Exercise, Fernhill and Boothill all ticked. Even when I’m back at home on the Arve valley limestone, I’m usually in an on-sight mindset. Just nailing as much footage as possible. Some might call it prioritising quantity over quality. Others might say I have a low boredom threshold. Whichever, the end result is that my redpointing ability doesn’t match up to my onsight. In theory, one should be redpointing 2 grades above one’s onsight limit. 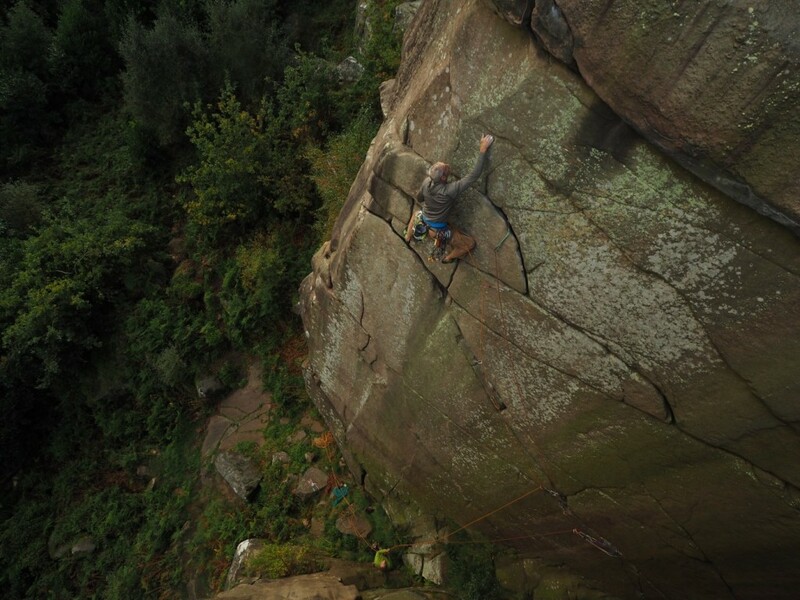 So with regular 7b onsights, I ought to be redpointing 8a, but the last and only previous one was about 10 years ago. 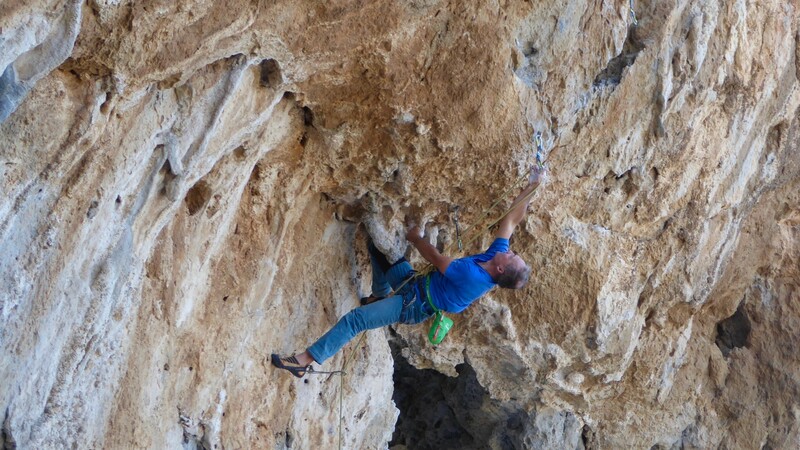 With some gentle prodding from my personal trainer, I flew to Kalymnos in early October with 4 friends, a rack of draws, a single 80m rope, a clip stick and a project mindset. For me, the only way I would go back to a project day after day for the same moves would be if the climbing was really really good. Kinaesthetically rewarding enough to keep trying. I was lucky enough on day 1 to find a route that ticked the box and that suited my style – three dimensional and not too fingery. Lucky too to have some supportive belayers to do the right thing – gentle encouragement, just the right amount of slack but not too much. Lucky to share the route with a gentle Swiss couple who had also recognised it as a classic. Lucky that conditions were windy and cool with perfect friction. The luck was augmented with a solid methodical approach of timing, diet, sleep, rest, mindfulness and good old fashioned power screams. I don’t as a rule climb for numbers or ticking boxes, but certain benchmarks are important, and 8a is one of those for me. My first visit to Morocco was in the 90’s to do some rope access work for Birdlife International. 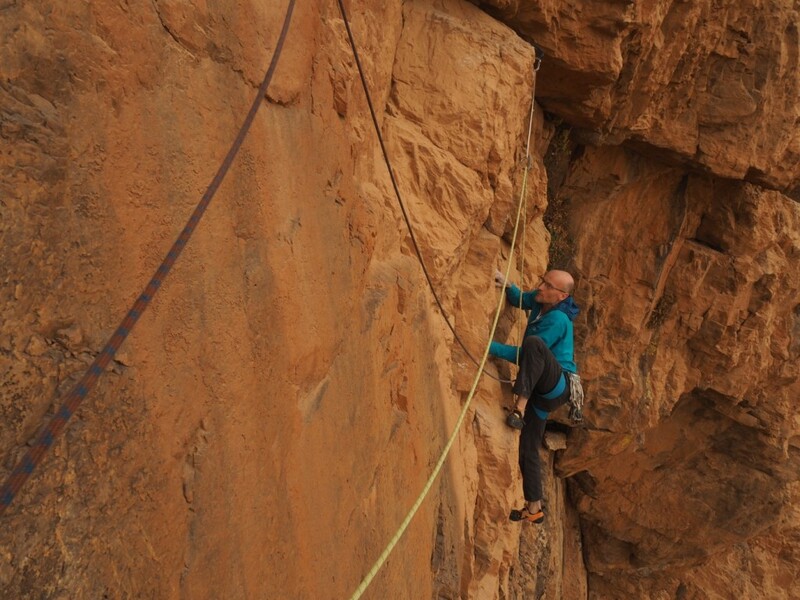 Organised by the British Mountaineering Council, we spent a week enlarging ledges for the very rare bald ibis on the coast south of Agadir. On the team were Emma Alsford and Paul Donnithorne, at the time one of the driving forces of development in Pembroke. 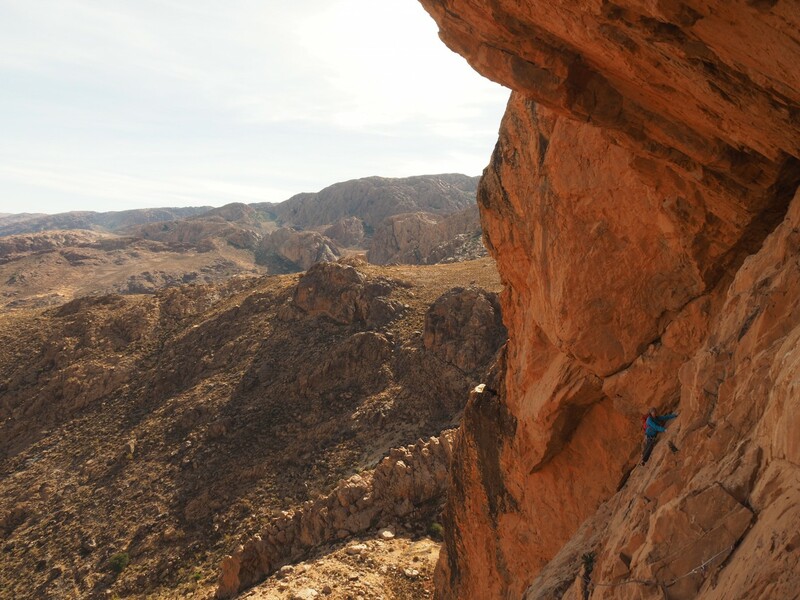 In recent years, they’ve turned their enthusiasm to the creation of a guidebook for the adventure cragging in Morocco, inland just north of Tafraoute. I’d heard great reports of the wild adventure there, and was keen to check it out. It was with some smugness that Pete and I left the rainy UK after a manic week at the Kendal Mountain Festival. A 3 hour flight to Agadir, a 2 hour drive into the mountains and we were ensconced in a Moroccan hill fort for the week. 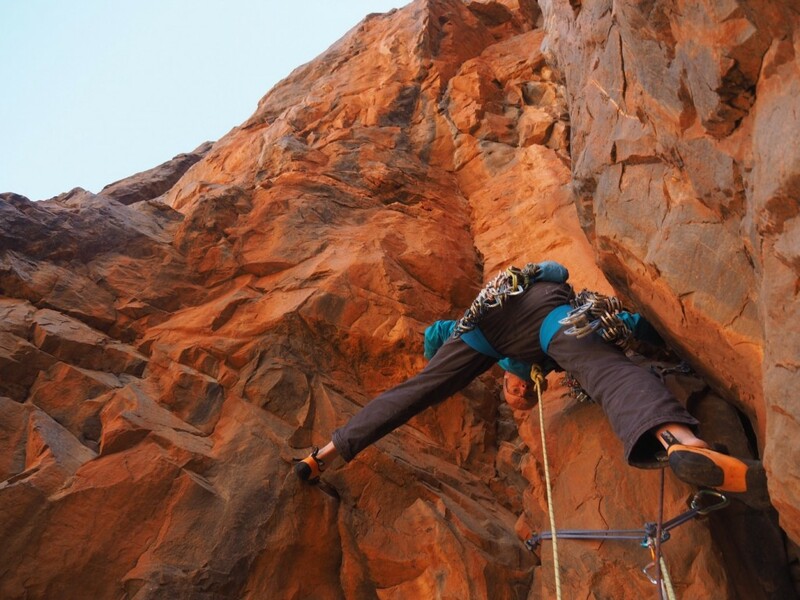 The climbing experience there is pretty special – somewhere between cragging and mountaineering. 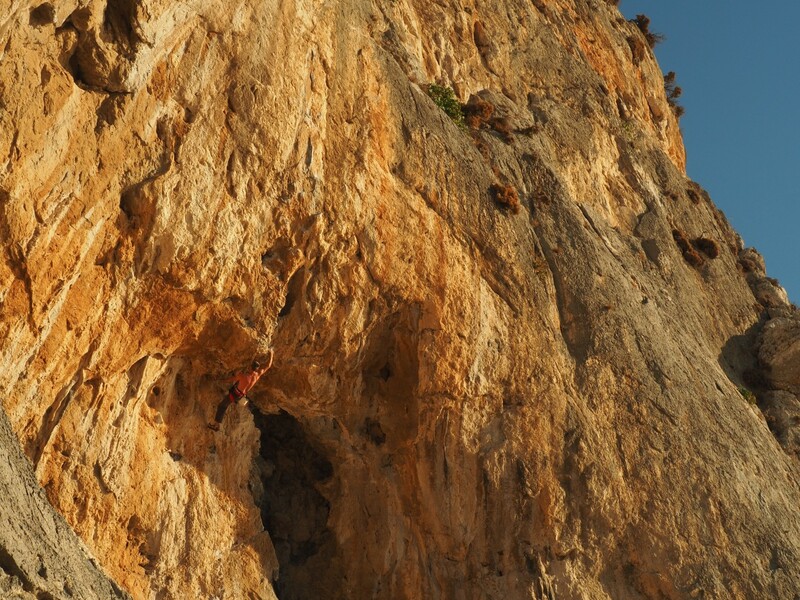 The effort expended just getting to the crag is half the fun, but the pay off is worth it. In contrast to the stadium feel of Kalymnos, we were on our own all week, with nothing but the regular call of the muezzin to break the silence. No chance of rescue here, so our sights were lowered to remain well within our capacities. We had a great week, with a days break to play at being tourists in Tafraoute. I’ll certainly be back for more of this unique experience in the future. 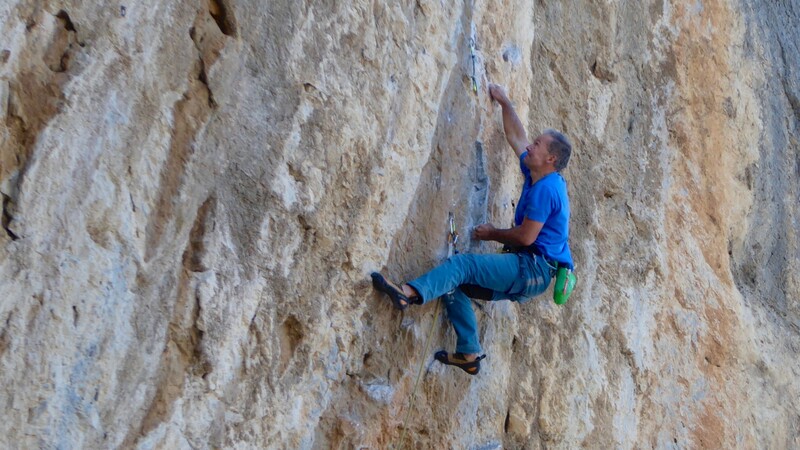 In the same way that Kalymnos is an ideal venue to learn how to sport climb, Morocco fits the bill for learning to trad. And regular temperatures in the low 20’s were perfect for climbing in the shade on the continuously interesting quartzite. It’s snowing in Chamonix. Time to scrape the skis off, crank the bindings. While climbing is still the best sport in the world, skiing is pretty good too!